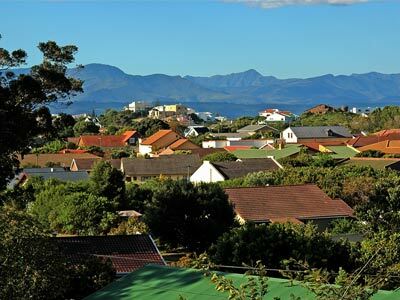 Stay at our B&B accommodation in Plettenberg Bay, South Africa. We're really pleased that you are visiting our website. Please come visit our guesthouse, too! We promise you a wonderful stay. We know because we live where people from all over the world spend their vacation. 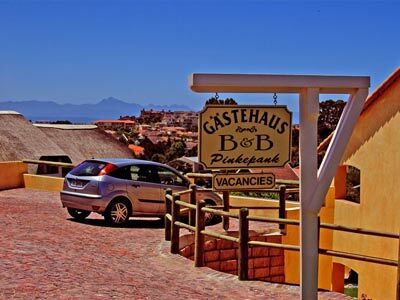 We welcome you to our guesthouse with German hospitality. 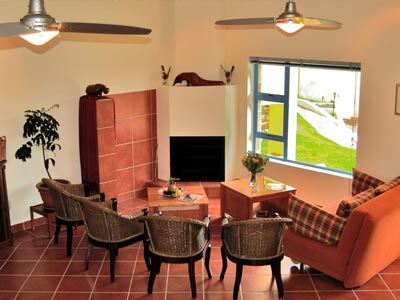 It has modern, well-equipped double rooms and is situated in a prime location in Plettenberg Bay. 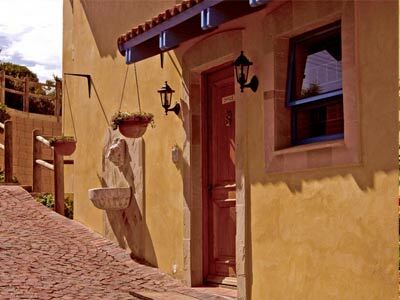 We are located in a quiet side street and we are protected from harsh winds. Robberg Peninsula Nature Reserve is nearby. The marvellous Indian Ocean beach is only 600m away and can thus be reached on foot quite easily. The village with its various restaurants is 4 minutes away by car. 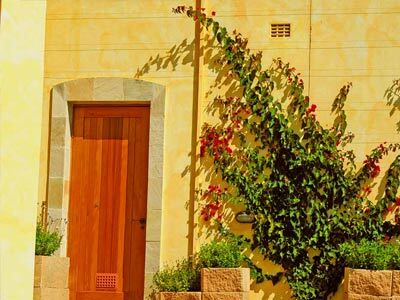 All rooms have an en suite bathroom and a large, under-cover, private balcony or terrace which has direct access to the garden. Balconies and terraces look out over the garden. 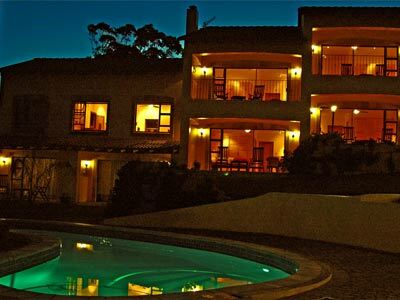 The Tsitsikamma Mountains are visible in the distance while you enjoy a glass of wine and the ocean rushes in your ears. 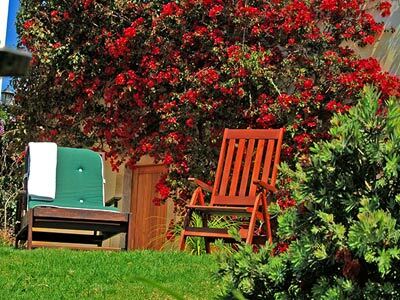 Relax in privacy and enjoy a pleasant stay. 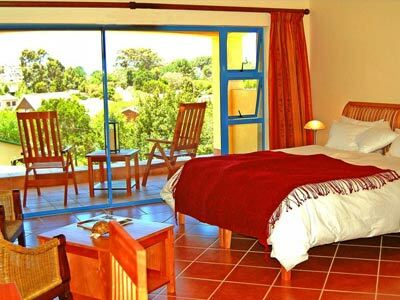 Well-lit, attractively appointed double rooms with an African ambience. 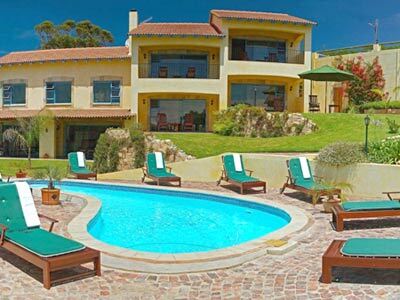 Sun terraces and the pool in the garden invite you to come and relax and dream. 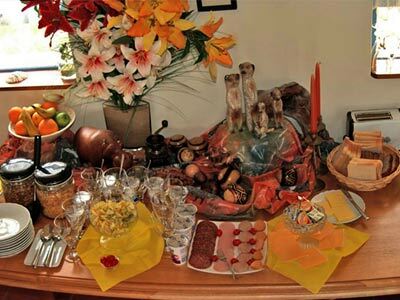 A large, full breakfast is served at separate tables for each party, to provide a good start to the day. On cooler days you can spend time in the lounge in front of a warming fire. A fridge is supplied in your room for your convenience. We loan beach equipment at a refundable deposit (umbrellas, beach towels, beach chairs and cooler bags). Each guestroom has its own, safe parking bay.